From the couple who gave us the rebellious Cotton Candy Lovin' and Summer Nights prenup, comes this wedding of pink and blue proportions in a "diner and 1950's-inspired" theme...starring Sam and Mauie Jurilla! 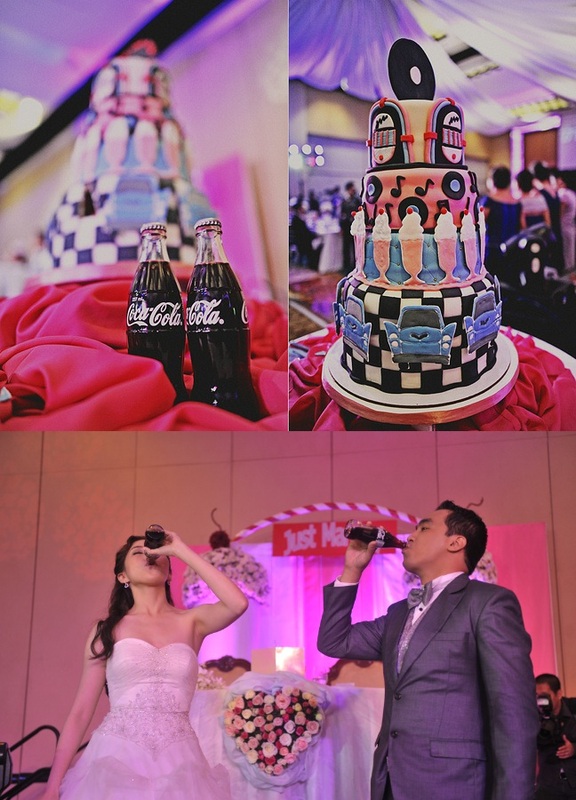 And true to Sam and Mauie's personalities, the celebration was simply full of FUNtastic ideas and entertainment. RB readers, let's hear it from Mrs. Sam Aviñante-Jurilla. What makes her a rebellious bride? She declares, "In three words: I am fun, bold & CRAZY!" RB: What were the rebellious details of your wedding and what made you decide to do them rebelliously? Sam: Let’s start it with the invitation. We do not want a traditional one and so we decided to have a 50’s LP disc invites. I did the layout by myself and just asked the graphic artist to enhance the design. Our cake doesn’t look like a wedding cake. It looks like a blue and pink birthday cake but that’s how we wanted it to look like and we loved it. The cake was home-made by our good friend Thessam Maranan. She decorated it with milkshakes, jukebox, vintage cards, LP discs and black & white blocks which were the fundamental keys to a 50’s party. For our toast, we opted to drink Coke Sakto instead of the usual wine. Moreover, we drank it without the straw & without any poise. Hahaha “tinungga” lang namin ni Mauie. 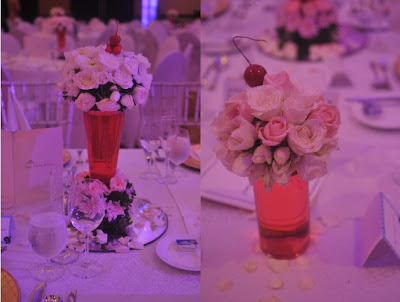 Click below to get more inspiration from this rebellious wedding! Sam: My make-up was done by the rebellious bride herself, Mica Tuaño-Fuentes. 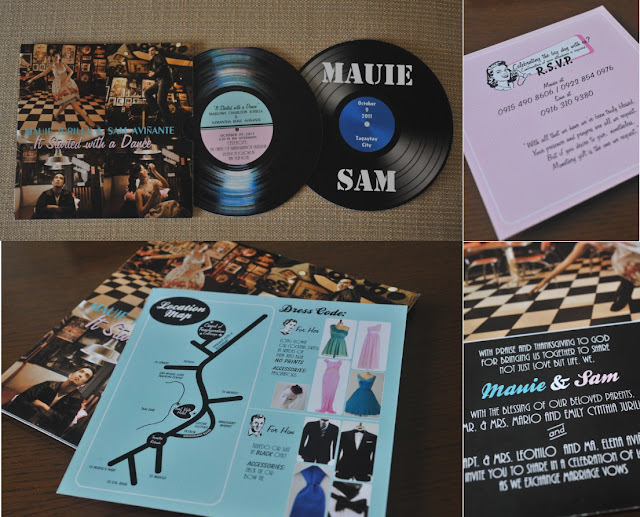 During our pre-nup, she was the one who suggested to use LP discs for our invites. I wore a teal Tutu (by Bonne) for my wedding preparation. I wanted to have a feel of a 50’s party even if the wedding hasn’t started yet. Then an off-white tulle ball gown for the wedding ceremony by NX couture. And that doesn’t stop me from changing into a front short & long back powder pink dress for our party (design by Marlo Javier). 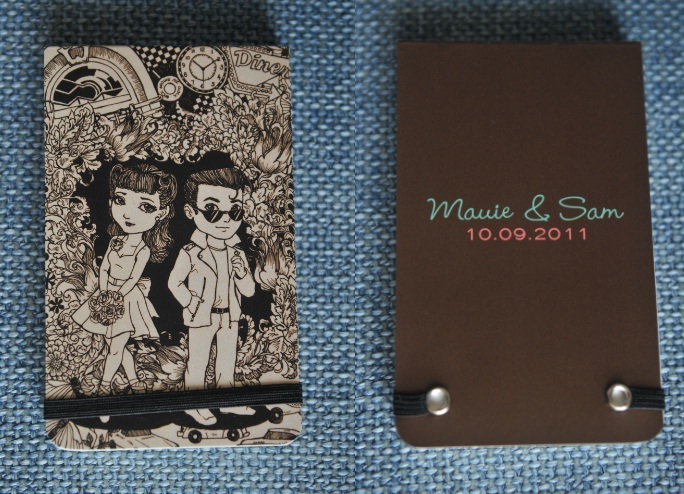 For the entourage, I didn’t want them to wear the color motif. Instead, I made them wear white long tutu dresses. And the headpieces created by Bonne compliments it very well. I am really fond of tutus because it reminds me of my first love, ballet. 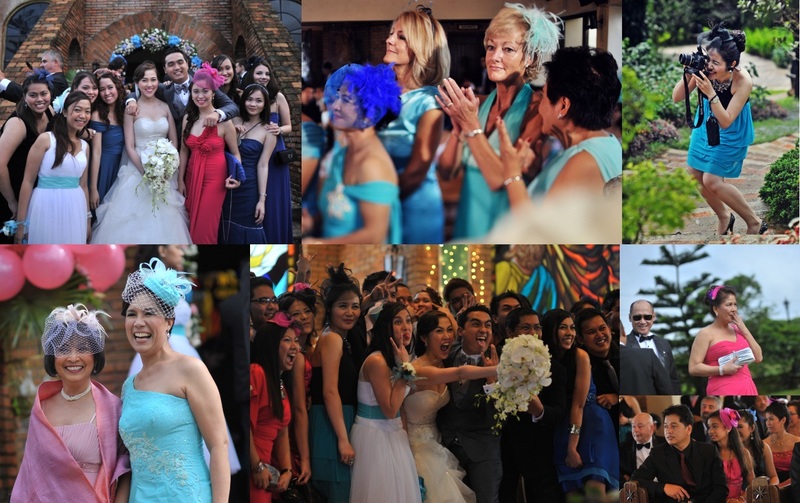 All the female guests were required to wear long gown or cocktail dress in shades of blue and pink only accessorized with fascinators/headpieces. For male guests, they should be in black tux or suit. The personalized wish board placed near the entrance of our ballroom was designed by yours truly together with my cousins. 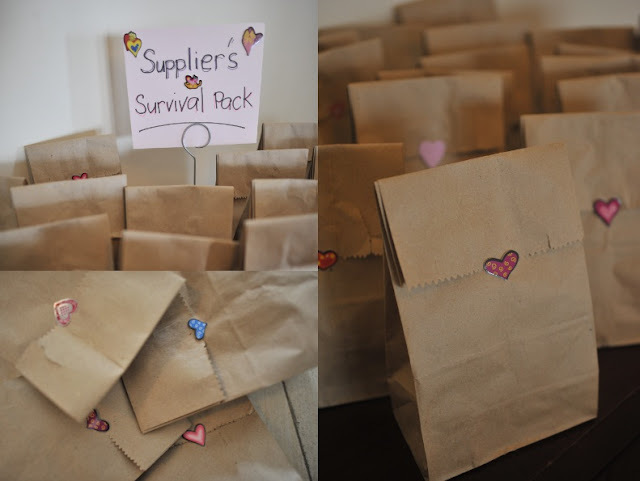 For the table numbers, wish cards & place cards, I asked for my graphic artist friend Thydess Caparros’ assistance. 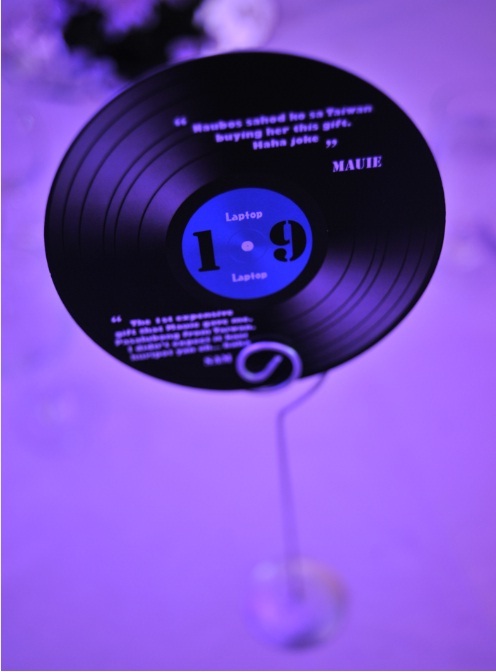 Basically, the table numbers were not just numbers but a "he said, she said" LP disc cards wherein we both discussed every significant item written in each of the LP discs like our favorite food, the place where he proposed, our dream vacation etc. Our souvenirs were also made with love. We requested our very talented friend Katrina Pallon, a free-lance visual artist to draw the cover of our moleskin type notepads. She created an illustration that looks like me and Mauie. Then, we just had it printed thru Luxe Paperie. 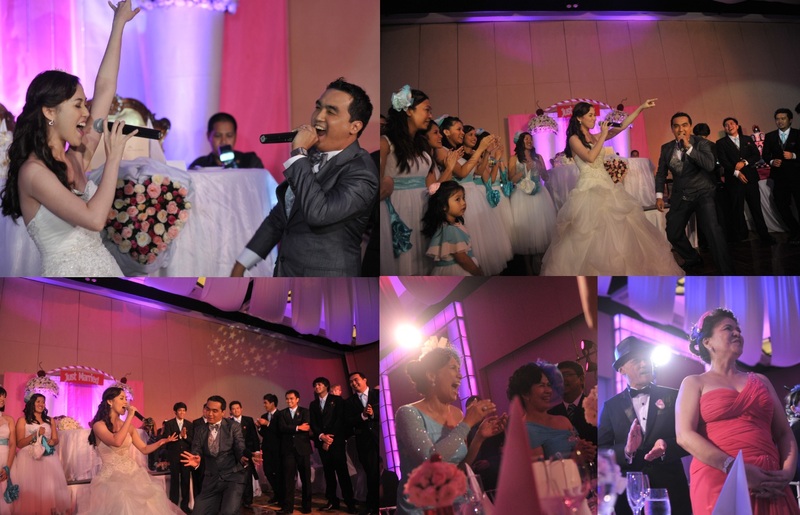 During the party, we performed twice for our guests. We both became the entertainers and they adored us! Hahaha! First we sang for them then, a dance number after. RB: What were the challenges that you had to face since your wedding is non-traditional and how did you overcome these challenges? Sam: Of course, there were some people who tried to go against our plans. But alongside of all the encounters, we did not falter but just remained calm. Mauie & I kept our decisions and worked hand in hand to complete all the details needed for our big day. Good thing we both have very supportive parents who were also thrilled to witness a different kind of wedding. To Paul (Paul Vincent Photography), you are such a talented man. I am so overwhelmed seeing all the photos. 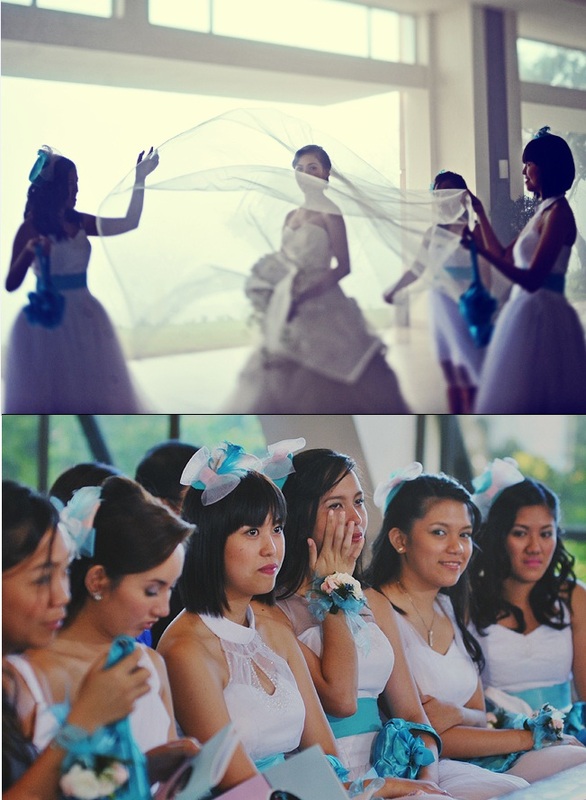 Thank you for capturing all the priceless moments during our big day. To Bim & Gen (Phoeben Teocson Cinema), you guys are very artistic and creative. Kudos to the both of you. Mauie & I are extremely happy with how all the videos turned out. Clap clap clap! Thank you very much! Mishel (NX couture), a big thanks to you. For creating the perfect wedding gown for me down to the dresses of my entourage. Marlo Javier, thank you for creating a lovely reception dress for me and for making Mauie look dashing in his suit. Franki (Designer Wedding), thank you for all the assistance and for running the whole event efficiently. It was so much fun working with you. Spoken like a true rebellious bride. Thank you, Sam, for sharing this with us! May there be more brides like you.